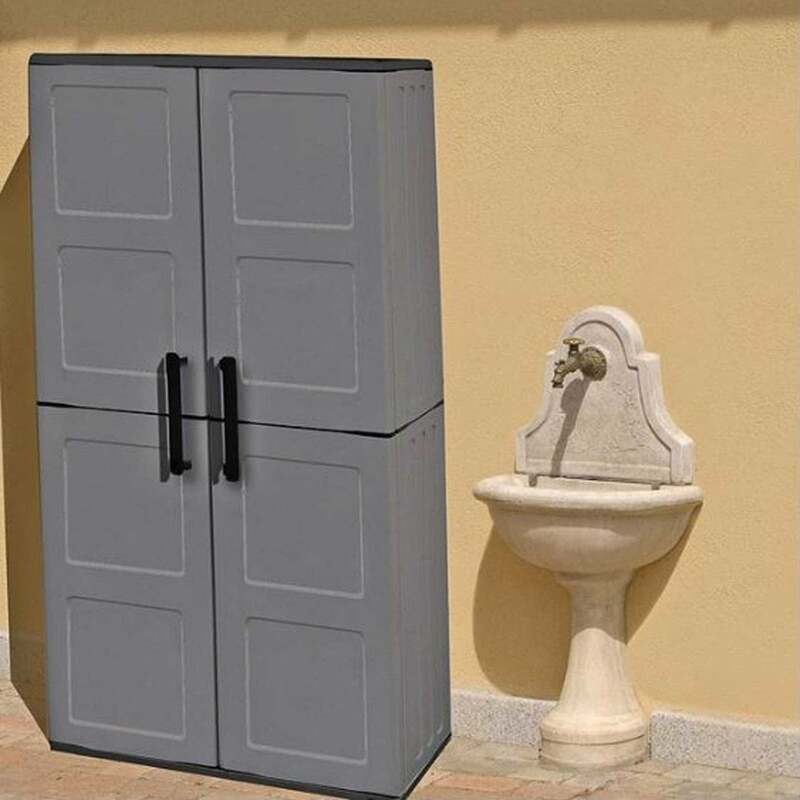 Shire Large Plastic Storage Cupboard with Shelves: The Large Plastic Cupboard by Shire is a practical garden building, perfect for extra storage space yet won’t take up too much space in your garden. The Shire Storage Cupboard is made from a sturdy polypropylene construction, which features weatherproof properties, is resistant against solvents and oils and is low maintenance with an easy to clean design. The Large Plastic Storage features double doors supported by durable metal hinges and three full width shelves for ample storage space.